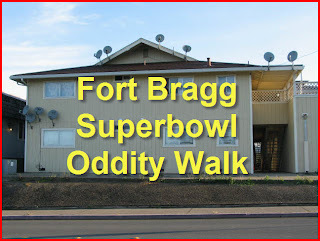 Walking Fort Bragg: Attention! Attention! This Sunday, "light" rain or shine, let's go for a walk. Forget the "Lite" Beer and Sofa! 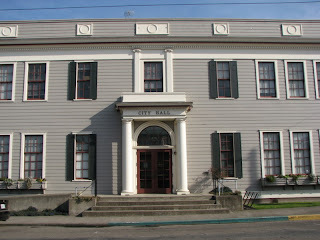 Meet on the steps of City Hall at 2:00 PM this coming Sunday, February 7th, 2010. 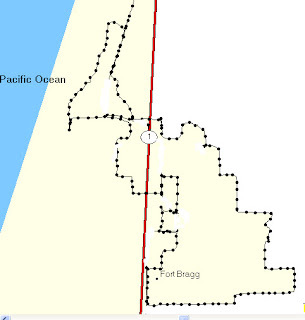 We will walk just over six miles. Should take about two and a half ~ three hours depending on how much gawking and talking is involved. Bring your camera, some snackage, water if you like. I'm jealous -- wish I was in town now!